Learn how to complete the Slam Dunk challenge and send Sister Yulduz for an explosive ride. If you’ve spent any time watching Hitman videos on the internet, you’ve likely come across a content creator named CJ. 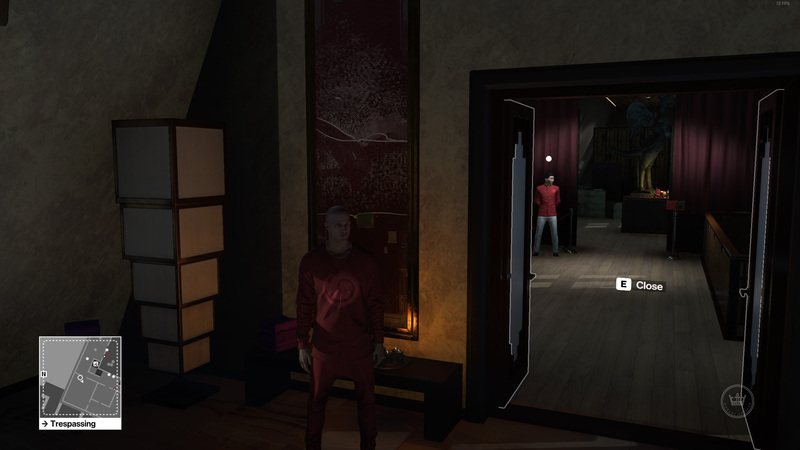 CJ is known for making strange objects fly in the latest Hitman game, often setting up some of the most incredible assassinations you can imagine. 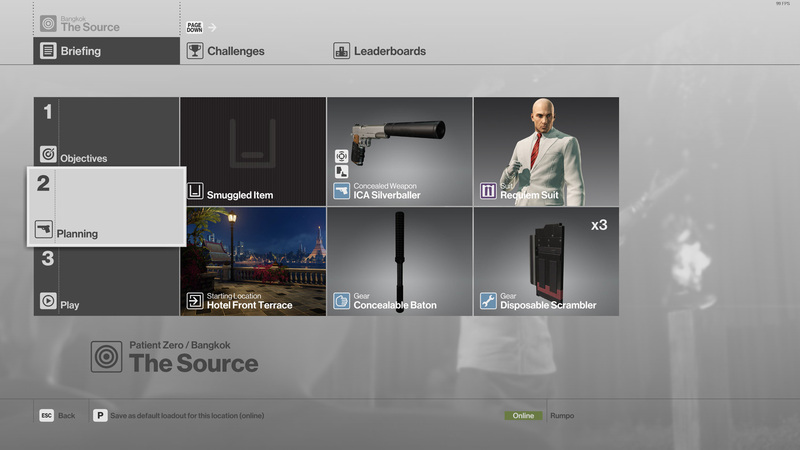 I’m not sure if it was intentional, but one of the latest Hitman missions, The Source, is almost a nod to CJ and other commentators like him. 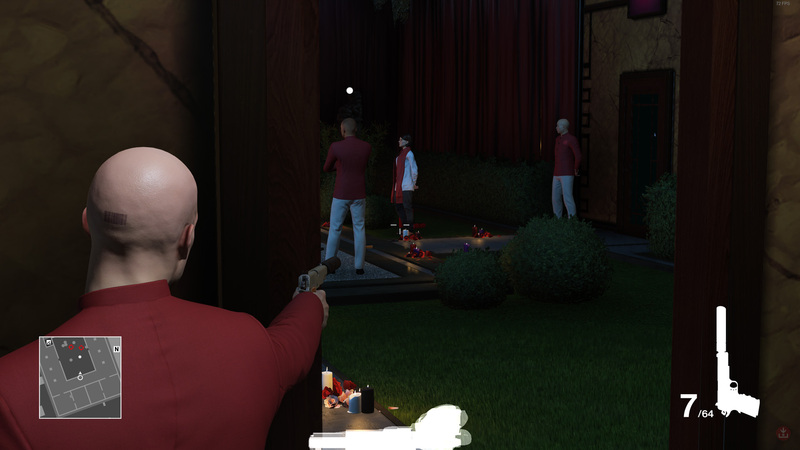 It’s also given me an appreciation for how difficult it is to make things fly and land with accuracy in hitman, which is exactly what you must do with Sister Yulduz when trying to complete the Slam Dunk challenge. For the Slam Dunk challenge, make sure you bring either the Disposable Scrambler or Remote Breaching Charges. You also need a pistol, and none are better than the ICA Silverballer. I also like to bring the Concealable Baton, but that’s personal preference for knocking out NPCs in my way. Spawn in at the Hotel Front Terrace and skip the cut scene. You need to head up to the same area where 47’s room is located. If you aren’t sure where that is, check in at the front desk and grab your keycard, then have the employee lead you there. You need to go faster than this person does as they give you the tour to your room, so once you know where 47’s room is, restart the mission. 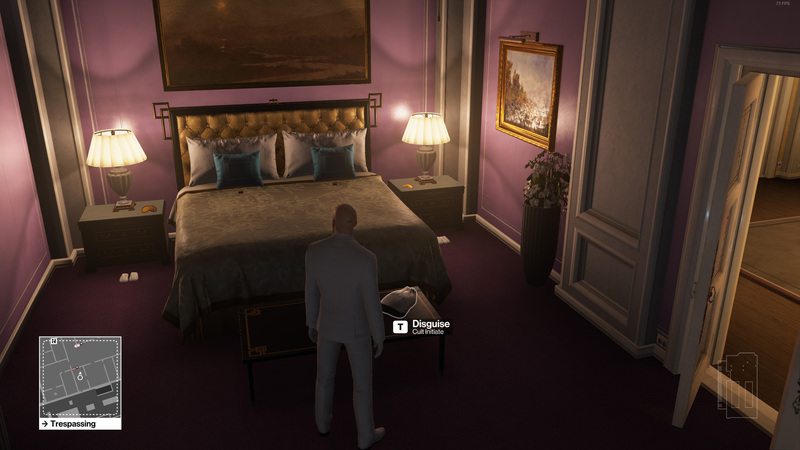 You’re not actually going inside Agent 47’s room. You’re headed into the room beside it. You need to use your Disposable Scrambler or Remote Breaching Charges to gain access. Once inside, go into the bedroom and grab the Cult Initiate disguise. Leave the room and head up one more flight of stairs to where the convention is taking place. Head into the main room of the convention and you’ll see four tables in the center. One table will have a curtain around it. 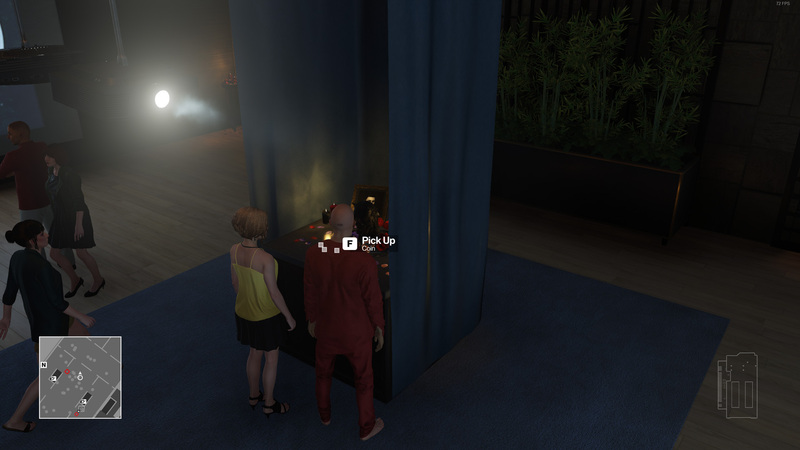 Approach that table and grab the four Coins on it, then go through the curtain on the north side of the room. Turn right and go past the sign for the private ceremony, then up one more flight of stairs. There are five guards on the outside of the area where the private ceremony will take place. You need to move three of them out of the way to make sure the coast is clear for the nonsense you’re about to pull off with the Slam Dunk challenge. Duck into the rooms that surround the outer perimeter and throw Coins to bring guards inside. One by one, knock them out, taking one of the Cult Bodyguard disguises in the process. The two guards by the door can stay because they aren’t in your way. The only other guard that you could stand to move is the one inside the door near where you sabotage the fire-retardant liquid in the bowl. Lure him out, knock him out, then stuff his body in the crate. Stand outside the back door from where the private ceremony will take place. Create a manual save. When Sister Yulduz is off to your right you will see that she’s standing beside some Fire Extinguishers scattered on the ground. Shooting one of these with your ICA Silverballer will cause an explosion that launches her in the air, but it’s insanely difficult to aim her, as ridiculous as that sounds. I probably tried it 20 times, adding Fire Extinguishers from around the area to different places by her feet to try and get the angle required. At the end of the day, it was just luck. Eventually the explosion will launch her into the air and cause her to land on the canopy, and you’ll complete the Slam Dunk challenge. If you’re lucky, you still have your Silent Assassin run in order. Now that the Slam Dunk challenge is out of the way, it’s time to up the difficulty level and pair it with a cool Oybek Nabazov kill, and the Divine Intervention challenge works perfectly for that.